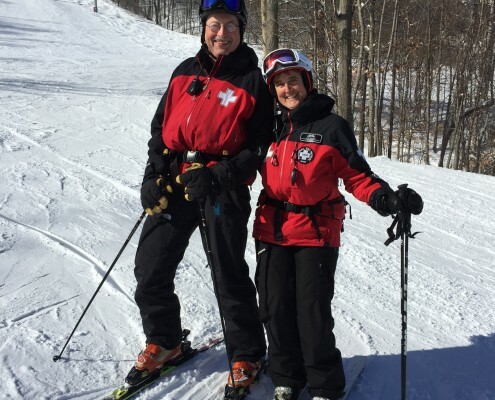 Call 585-374-1115 if you need immediate assistance from Ski Patrol. In the event of an incident on the hill or premises, a patroller is immediately dispatched to evaluate the situation. The patroller will request any additional assistance and equipment necessary to effectively manage the incident. Skiers and snowboarders can assist us greatly by reporting an accident directly to Ski Patrol by calling 585-374-1115. 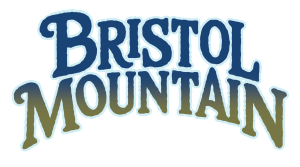 If you are not carrying a mobile telephone, inform the nearest Bristol Mountain employee. Take note of the trail name and location on the trail. Do not call 911 as this may result in a delayed patrol response time as well as an ambulance and emergency personnel being dispatched unnecessarily. There are two patrol buildings at Bristol Mountain. Patrol Base, the primary first-aid building, is located at the base of the mountain north of the Rocket Lodge. The Patrol Hilltop building is located at the top of the Morning Star trail. 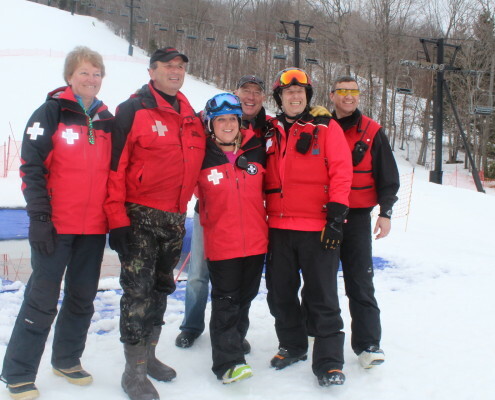 The Bristol Mountain Ski Patrol (BMSP) is comprised of a group of dedicated and caring volunteers who are passionate about the sport of skiing or snowboarding. BMSP operates in accordance with the National Ski Patrol guidelines. Patrol members are a professional and diverse group of individuals who commit to countless hours of training before and after becoming patrollers. Several training sessions are held before the start of each winter operating season. These summer/fall refreshers include extensive medical training, Outdoor Emergency Care (OEC), CPR, AED handling, staged on-hill patient care scenarios, power failure evacuation procedures, and other mountain emergency situations. Outdoor Emergency Care (OEC) training continues through the winter along with Ski and Toboggan (S&T) handling techniques. Every member of the BMSP is committed to safety and one of their primary roles is to monitor the mountain to endorse a safe and enjoyable environment for our guests. In addition, they strive to educate skiers and snowboarders to be safety conscious and courteous as outlined in ‘Your Responsibility Code’. They also inspect the terrain prior to the opening and following the closing of the mountain as well as throughout the day. They may install ropes/cones/signage and direct customers around closed trails during operating hours. Members of Ski Patrol and Mountain Hosts pledge much of their time to enforce reduced speeds in the designated Slow Zones on the mountain. The Slow Zones are novice (green circle) trails which include high concentrations of entry-level or slow-moving skiers and snowboarders. The trail network includes Milky Way, Nova, Shooting Star, Sunbelt, Eclipse, and Infinity. Each patroller and mountain host is assigned to a team each season. Each team is then assigned to a fixed 8 hour weekday shift or a combination of a 4 hour evening shift and rotating 8 hour weekend shift. Each patroller is required to be on duty for a minimum of 60 hours per season in addition to their annual training requirement. To become a patroller, you must be willing to commit to many hours of training and demonstrate advanced-level skiing or snowboarding abilities. Candidate training begins in August with Outdoor Emergency Care (OEC) and first aid classes. Classes meet two to three times a week and average three hours per class. In November, the candidate must pass the written and practical exams. Training would then transition to on-mountain sessions during December and January. On-mountain training includes ongoing Outdoor Emergency Care (OEC), as well as skiing/snowboarding and Toboggan handling techniques (S&T). In February, the candidates S&T skills are evaluated with successfully passing candidates selected. To inquire about becoming a patroller, stop in the Patrol Base located north of the Rocket Lodge during the operating season. In March, an interview session and a "ski-off" is held for persons interested in pursuing the profession of a patroller. 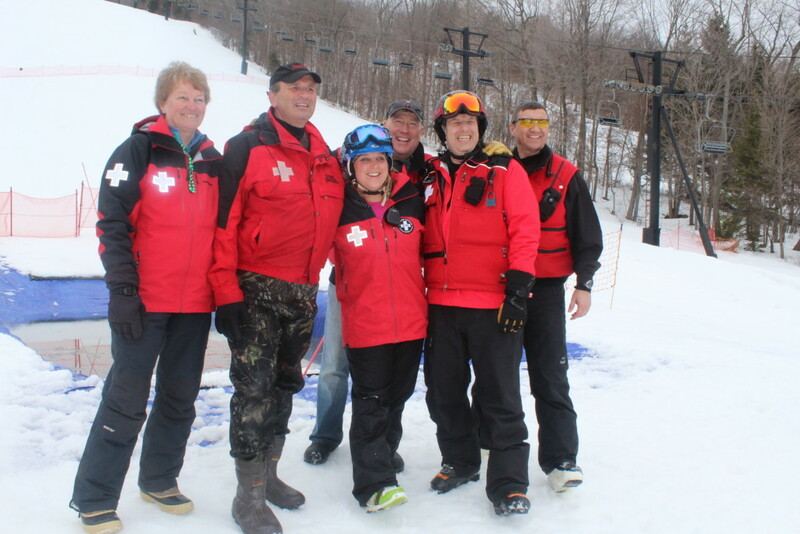 For more information on the Bristol Mountain Ski Patrol, visit www.bristolskipatrol.com. 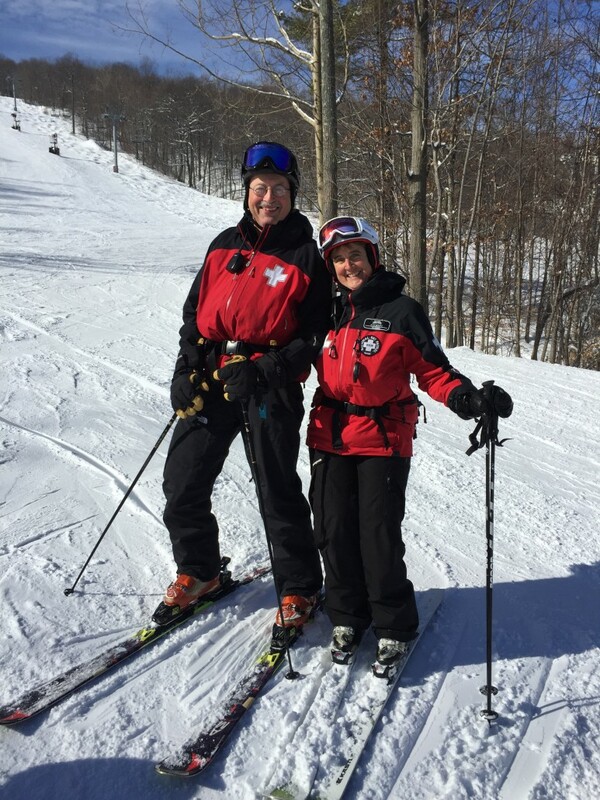 For more information on National Ski Patrol, visit www.nsp.org or visit the Genesee Valley Region NSP at www.nspgvr.org.